I have definitely become obsessed with the film ‘The Theory of Everything’. I’ve been obsessed with it since the beginning of this year when it first came out, I saw one of the first showings of it. 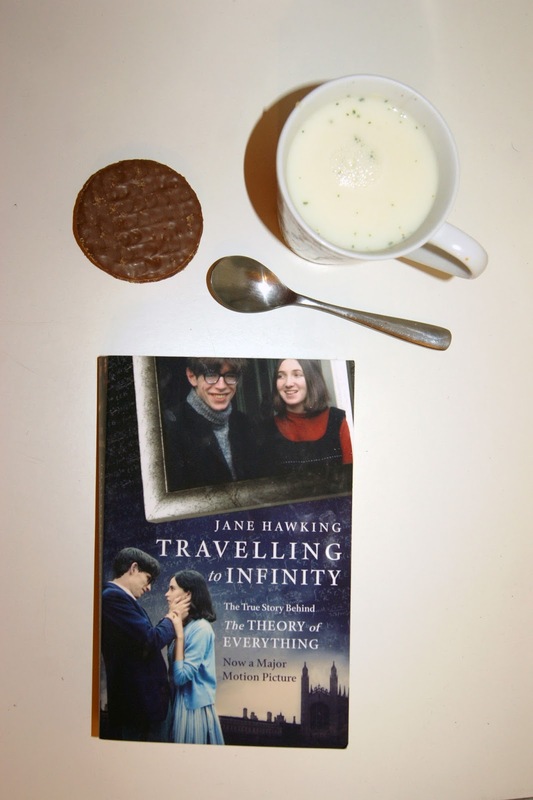 For those who haven’t seen it, it follows the relationship of Stephen and Jane Hawking, the great theoretical physicist and the girl who eventually became his wife. Told from her perspective, you get to see a personal side to him, what it was like to be married to him, and life after their marriage. The film is beautifully filmed, romantic and inspiring and once I heard that it was inspired by Jane’s book on her life with Stephen, I had to buy it. I’m only three chapters in right now, but her writing is gripping, descriptive and emotive. I sat engrossed in it, in the corner of the pub waiting for my dinner whilst the boys enjoyed the football. I can’t wait to finish it and see the comparisons with the film. If you want to read it yourself it can be found here. I think when I finish it, I will add more books related to Stephen Hawking, possibly his own, to my list. What film adaptations of books have you found intriguing?